Record contact transactions in the field! The Smartspy® Contact device provides an innovative, portable solution to record and analyse communications between smart cards and readers. 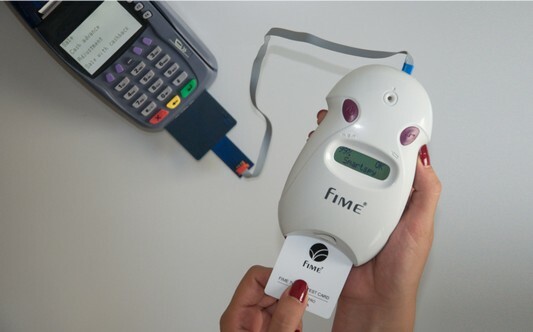 FIME’s Smartspy Contact solution includes the spy tool and Smartspy Analyser software which enables the observation and recording of a transaction between a contact smart card and a terminal and analysis of any failures. The Smartspy Contact device is a pocket-size FIME test tool. It can be used in a standalone mode or connected to a PC via a USB cable. It is the tool chosen by Mastercard to record Mastercard M-TIP (Mastercard Terminal Integration Process) test transactions. The Smartspy Contact device is delivered with a standard ISO/POS probe, USB and Y cables and a CD to install the Windows driver, the Smartspy Analyser software and the user manual.